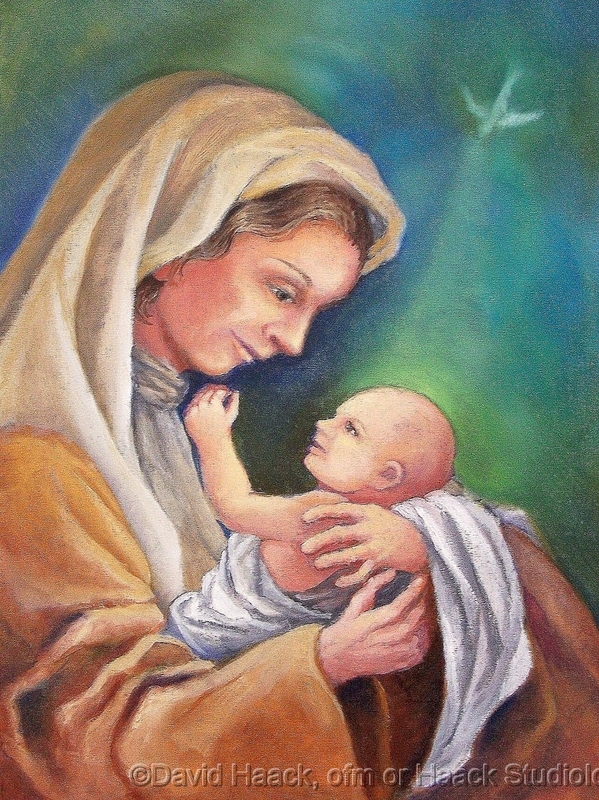 Christmas Card of Mother and Child. Inside message: left side of card "How delightful to have such a brother" St. Francis of Assisi; inside right side of card 'How good God is to us, Blessed Christmas. 7"x 5" card w/envelope.